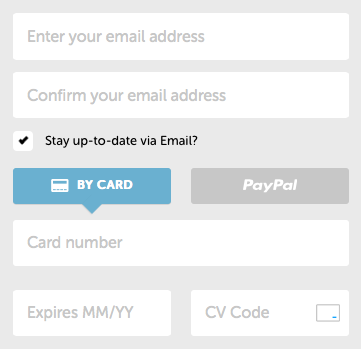 A confirmation of your email address, to double-check it has been entered correctly. 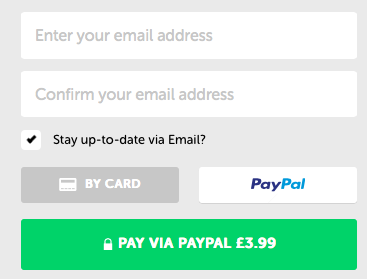 You will then be forwarded to Paypal's payment pages. Apple Pay is available to users who have it set up, and are using iOS version 10 onwards, or Safari for Mac version 10 onwards. Please see Apple's documentation for a full list of eligible devices and software. 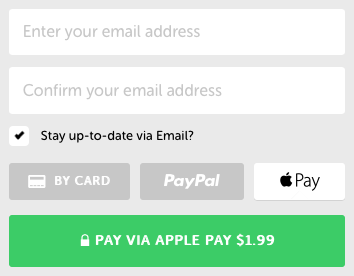 You will then be shown the Apple Pay modal dialogue to confirm the payment.